I shouldn’t need to tell you how good The Black Keys are. Normally I’d start a review by commenting on an artist’s past successes and the present results of those successes. That doesn’t seem necessary here; you’ve likely listened to The Black Keys before and chances are you enjoyed it, and although Turn Blue is different that’ll most likely remain the case again. Like the two singles that preceded its release Turn Blue is a grower. This is a record which takes a few listens to really sink its teeth and with each playthrough it unfolds slightly, and what initially seems like an odd move becomes an interesting and more mature venture from the Ohio natives. Dan Auerbach (guitar / vocals) and Patrick Carney (drums) have once again listed the production skills of Brian ‘Danger Mouse’ Burton, whose electronic influence shines through more than ever, with The Black Keys sounding like a three-piece as opposed to a duo. Burton’s production is as meticulous as expected and Turn Blue is as polished as a record can possibly sound without overdoing it, although at times it comes close. The Black Keys’ eighth studio album sees them return to the blues of Brothers but spices things up significantly, making for a sultry and smoky record which is both immersive and compelling. Turn Blue isn’t as stadium ready as the bands last full-length El Camino, but what it lacks in bite it more than makes up for in creativity. This is a smart record, merging intelligence, imagination and envy-inducing talent into a psychedelic and fuzzy blend of blues inspired American rock – and damn does it sound good. It’s by far the most challenging thing the duo have done, but it’s also their most rewarding, although it may take a while to really make a mark. Turn Blue opens with the longest song The Black Keys have ever recorded (discounting 240 Years Before Your Time), as expansive first track Weight Of Love falls just shy of seven minutes of sprawling and absorbing music – a real signal of intent to begin the record. This is what The Black Keys sound like now, and this is how Turn Blue will sound. It aims to take a listener on a journey, and it does. After a hazy intro the track builds to desert soundscapes as guitars pierce and drums coast, with Auerbach coming in after two minutes with crooning vocals. Despite a softer approach of sorts Weight Of Love sound huge, perking up during a chorus which features the line ‘You’ll be on my mind / don’t give yourself away to the weight of love’ before dropping off to plucky bass. The Black Keys have rarely sounded more confident, and their eighth record is one that struts, pulling itself firmly out of the gutter and onto the sidewalk bar final track Gotta Get Away. The nine tracks that fall in between the two aren’t quite as adventurous as the opener but still see The Black Keys cover relatively new ground, and their breezy nature is irresistible – you’ll likely find yourself tapping along and getting caught up without even realising it, even if it isn’t on the first time through. Fifth track Year In Review is a firm highlight and it’s one of the more abrasive bluesy tracks, bringing in almost shouted vocals which shift on a whim next to catchy instrumentation which doesn’t utilise as many electronic influence and instead drifts, picking up again during one of the records best choruses. Lead single Fever demonstrates where the electronic side to Turn Blue can prove slightly overbearing as almost unnecessary synths wail, and despite being the earliest track released it’s also one of the weakest, sounding slightly disjointed, although it does improve as it progresses. These synths return on ninth track 10 Lovers which is thankfully much better, and tracks like this one sound effortlessly cool, funky and seductive, pairing a sublime bass-line with layered vocals and a hugely memorable chorus. The track ends with a solid guitar solo, and these moments are plentiful on Turn Blue as Auerbach fills any lengthy section of instrumentals with charming, dancing guitar melodies. At times the vocal side of Turn Blue is greatly overshadowed by intricate and engaging instrumentation, as is the case on the experimental It’s Up To You Know, which stomps alongside fuzzy guitar riffs before switching the tone entirely midway through to creeping western soundscapes and more soaring guitars, sounding nothing short of majestic as it shifts yet again towards the end. Be it on the jazzy and nostalgic In Our Prime, or the soulful yet slightly forgettable Waiting On Words Turn Blue takes every opportunity to dazzle, and most of the time it does, despite a few moments where the duo perhaps try too hard – as is the case on Fever. Turn Blue ends with Gotta Get Away, which is the only song on the record that could soundtrack an episode of Sons Of Anarchy and not sound like a terrible decision. After ten tracks of psychedelic indie you get a straight-up good-time rock n’ roll track, and although it may leave some listeners wishing the rest of the album had sounded this way it’s a fitting closer which is catchy and memorable in a different way to the songs that precede it. As Auerbach sings ‘I searched far and wide hoping I was wrong / but baby all the good women are gone’ over scuzzy instrumentation you can’t help but smile, and the closer serves as a firm reminder that The Black Keys are still most definitely The Black Keys, regardless of their new direction. In an age when bands who find success often refuse to change The Black Keys should be commended for continuing to evolve their sound. Considering how talented Auerbach and Carney are it would’ve been all too easy for them to release El Camino V.2, but Turn Blue is miles away, and a lot of the time it’s moving in the right direction bar a few steps backwards. The Black Keys are a band who’ve experimented here, and generally speaking they’ve pulled it off brilliantly. 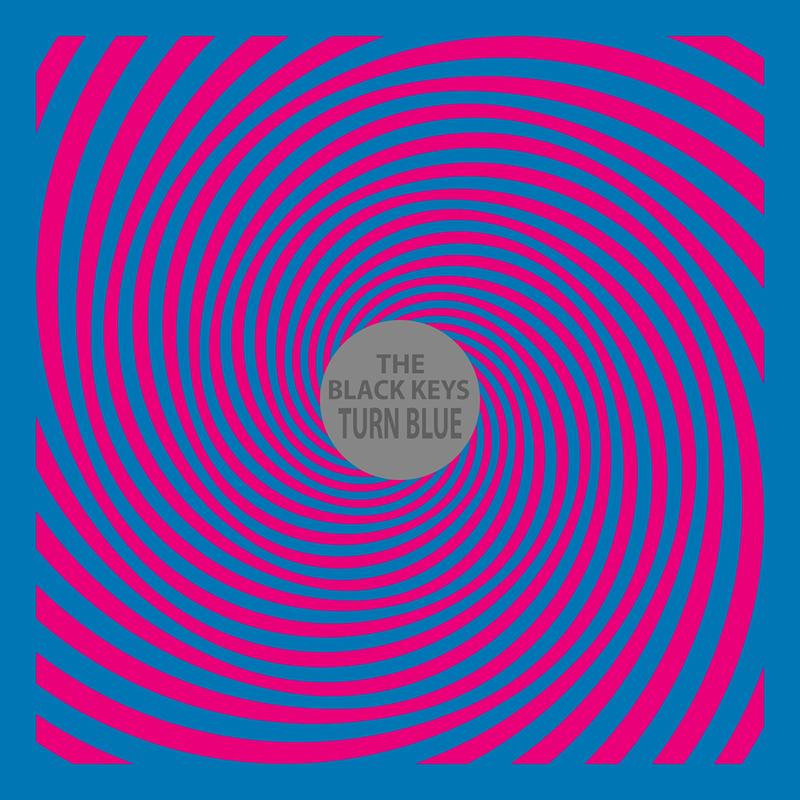 Turn Blue sounds smaller yet bolder, and although it might not win any Grammys there’s no denying its abundant quality.